The Channel Islands Co-operative Society Limited will be donating 5% of its profits from pet food to the Guernsey Society for the Prevention of Cruelty to Animals’ (GSPCA) Save Our Seals campaign. Last year, the Co-op supported the Jersey Society for Prevention of Cruelty to Animals’ (JSPCA) #SaveOurShelter campaign by donating 5% of pet food sales to the Animals’ Shelter. 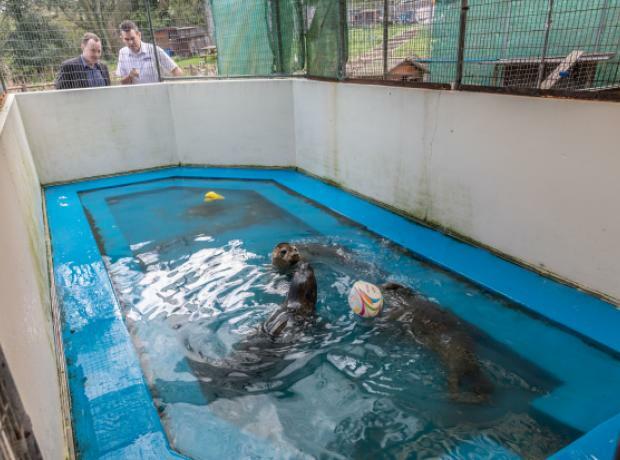 The Society is now launching the same initiative in Guernsey where funds raised during April and May will go towards supporting the seal pups within the GSPCA’s care. We are hugely grateful to a Co-op Helping Hands grant which helped enable us to also fit a new floor and new large runs in our ferret room at the GSPCA. The floors were in desperate need of repair and we have been hoping to improve our facilities for our ferrets for many years. Each year we help dozens of stray and unwanted ferrets and currently have 4 lovely ferrets in need of homes. 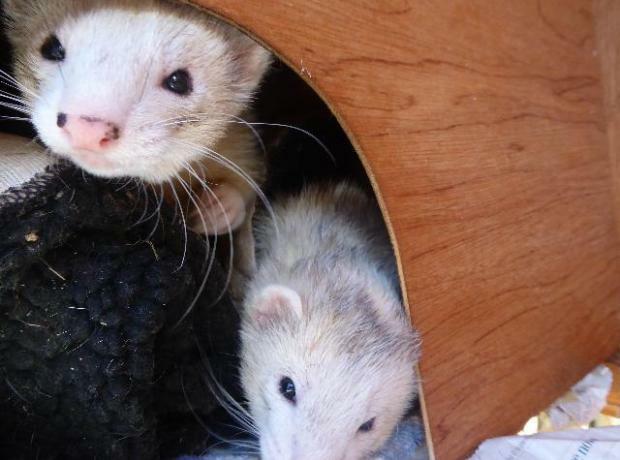 Two extremely sweet ferrets are Gizmo and Ghost (as pictured). They came in to as as their owners could sadly no longer care for them. We are hugely grateful to GFF Flooring who donated and fitted flooring to our Hospital area last week. Also a huge thanks to a Co-op Helping Hands grant which helped enable us to also fit last week a new floor in the ferret room. Both floors were in desperate need due to the age and regular use they see 24/7. With the lovely weather many of the animals went into outside cages and aviaries, while others went into other sections of the GSPCA so the work could be carried out. 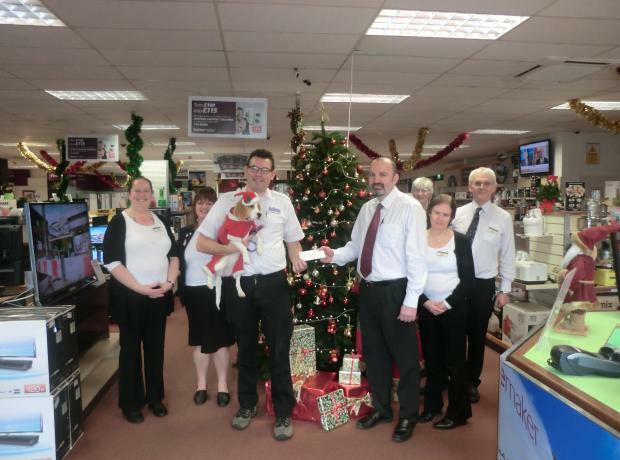 On Friday the GSPCA were asked to pop into the Homemaker Co-op in St Sampsons for a very kind donation. Between the 7th and 14th November the staff ran a competition to name a French Bulldog Speaker and on the 14th held a cake sale (click here to see the story). 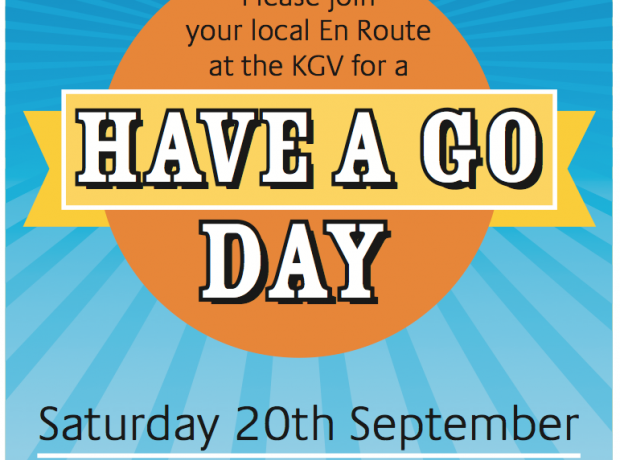 The co-op store L'Aumone Enroute are organizing and running a charity open day (have a go Day) in aid of the Guernsey Sports Association for the disabled which will be held this Saturday 20th September at the KGV from 10am-4pm and will include a tumbler stall, cake stall, BBQ and refreshments, roll a penny stall, Lucky Dip,archery stall, splat the rat stall, penalty shoot out, face painting, the 4th Guernsey Air Scouts will be displaying their Airplane cockpit and we will have the Tol Galen reenactment troop running displays though out the day. Wheelchair slalom course. 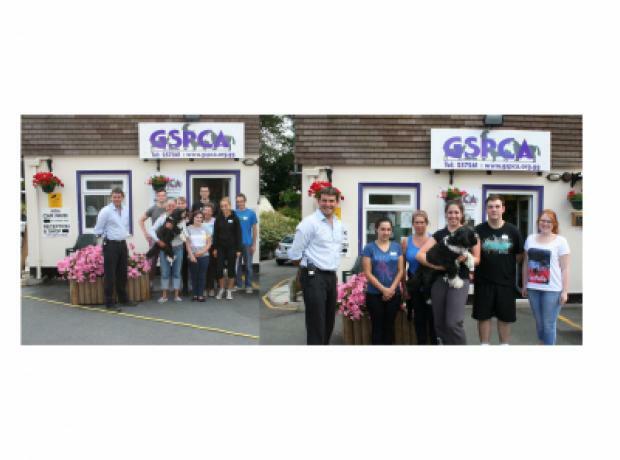 On Saturday Manager Mr Ian Cuthbertson‎ and a team of the Co-op Longstore Locale staff walked in aid of GSPCA. 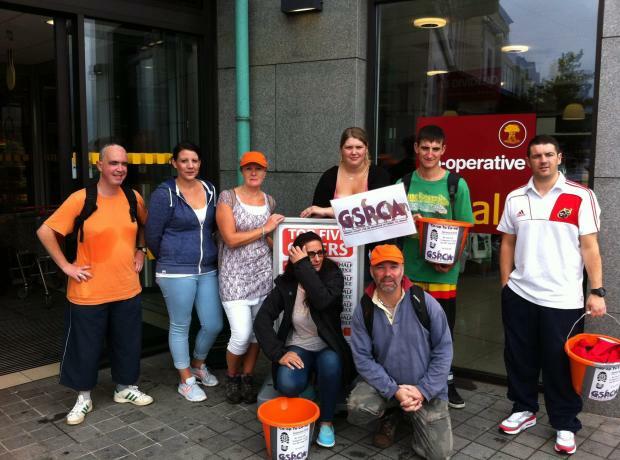 The 2014 'Co-op 2 Co-op' walk took 8 hours and the staff taking part paid a visit to every Co-op retail outlet in Guernsey, some 15 miles in all. Steve Byrne GSPCA Manager asked Co-op Longstore Locale Manager Mr Ian Cuthbertson how it all went and here is his reply "It all went very well thanks, we'd finished by 16:00 hrs, some 8 hours walking from shop to shop." Yesterday staff from En-Route St Andrews Co-operative spent the day helping at the GSPCA. 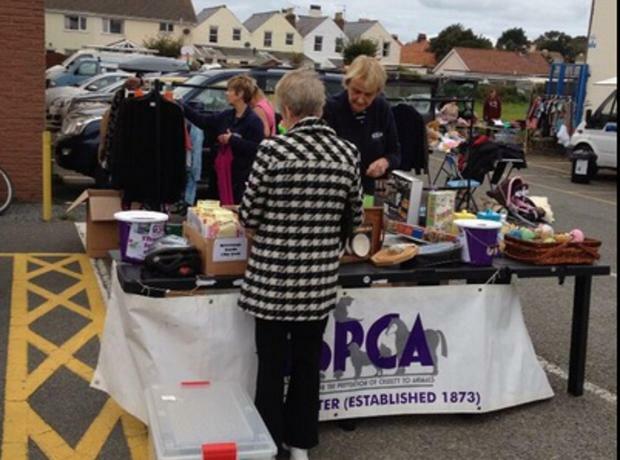 On Sunday the 13th October staff from the Homemaker Co-op organised a Car Bot Sale to help raise funds for the GSPCA. With over 40 sellers and the weather holding off a successful morning was had by all and a bit of fun with some of the staff dressing as Giant Animal Mascots collecting on the day. In total over £400 was raised and the GSPCA would like to thank the staff at the Homemaker Co-op and all those that supported on the day.